UMP | University of Minnesota Press Blog: Midsummer Eve: A gateway to another, sometimes dangerous, world. 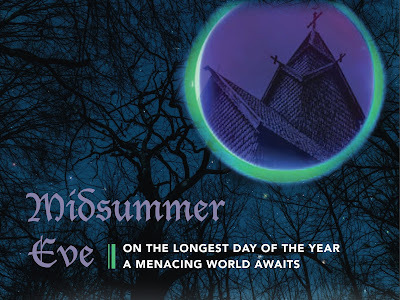 Midsummer Eve: A gateway to another, sometimes dangerous, world. In the old days in Norway—up until the end of the 19th century—the night between the 23rd and 24th of June was the night to harvest any kind of plants that were supposed to hold healing or magical powers. At the same time it was a dangerous night to be wandering around the woods and the fields, since the gateway to the other world was believed to be open, thus making us accessible to an army of unknown beings: some visible, some not. This duality is perhaps what characterizes the Norwegian Midsummer night more than anything else. The promise of something wonderful, mixed with the threat of horrors unknown. It was said that if a girl picked seven different kinds of wildflowers on this particular night, then went to bed with the flowers under her pillow, she would dream of her future husband. But then again, who could know whether the dream wasn't just a trick being played by a creature that had slipped through the gateway and now lusted for her? These beings—imagined or not—were possibly transformed versions of gods and demonlike figures from the pre-Christian era, when the landscapes of Norway were home to a plethora of spiritual beings of whom we know very little today. It's the same hills, the same rivers, creeks, and boulders now as then, but it seems as if it has all stopped speaking to us the way it did to our ancestors. But then again, perhaps it's all in the eye of the beholder. Or the ear of the listener. Perhaps the landscapes never stopped speaking, it's just that we can't hear them anymore. If that is the case, it means we could be surrounded by whispers and cries without even knowing it. Eyes may glare at us, but we are unable to look back at them. We are like a blind person walking through a room full of monsters, feeling completely safe. It could be that this is the case. And it could be that Midsummer night is the night when we get our vision back. But we might not like what we see. In the forthcoming (Fall 2017) The Devil's Wedding Ring, the protagonist—a Norwegian who returns to the old country after many years in the US—is unwillingly sucked into this old and half-forgotten world of superstition and folk beliefs. He realizes too late that these things are not to be trifled with. The full power of Midsummer is unleashed deep in the ancient woodlands. RELATED: This video was shot at Eidsborg stave church, where a substantial part of The Devil's Wedding Ring takes place. It shows a reenactment of the medieval ritual connected with the figure of St. Nicholas (locally known as Nikuls). This ritual was carried out every midsummer night for at least six hundred years, and is believed to have roots back to a much older pagan ritual that may have taken place on the same site. St.Nikuls from Videoarkivet on Vimeo. 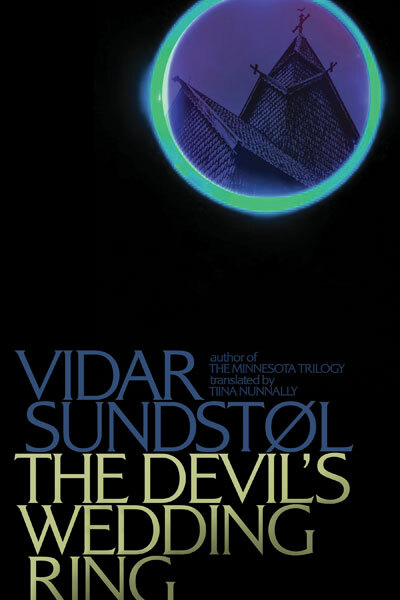 Vidar Sundstøl won the prestigious Riverton Prize for the Best Norwegian Crime Novel for The Land of Dreams, the first volume of his acclaimed Minnesota trilogy, published in the United States by the University of Minnesota Press. The other two volumes are Only the Dead and The Ravens. Sundstøl has lived in the United States and Egypt, and now resides with his family in Telemark, the setting for The Devil’s Wedding Ring. "An intelligent and thoughtful mystery about a man returning to his home country to learn the truth about a friend’s death, and in doing so, he must face ghosts of his own. This pitch-perfect elegy makes for compelling reading, the kind of work that must be savored." "Vidar Sundstøl's novels deserve all the praise they have garnered."